Stichting Boerengroep (Farmers Foundation) aims to connect the university (students, research, education) with the reality and challenges of farmers in the Netherlands and worldwide. In this way we fight for social, just and sustainable food production. We do this by bringing students into the fields and farmers into lecture rooms at the university. research mediation between university (researchers, students, education) and the needs of farmers in the Netherlands. Boerengroep stimulates farmers to provide us with research questions and their challenges. We can then find students who can work on this as their internship or thesis. Working Groups. 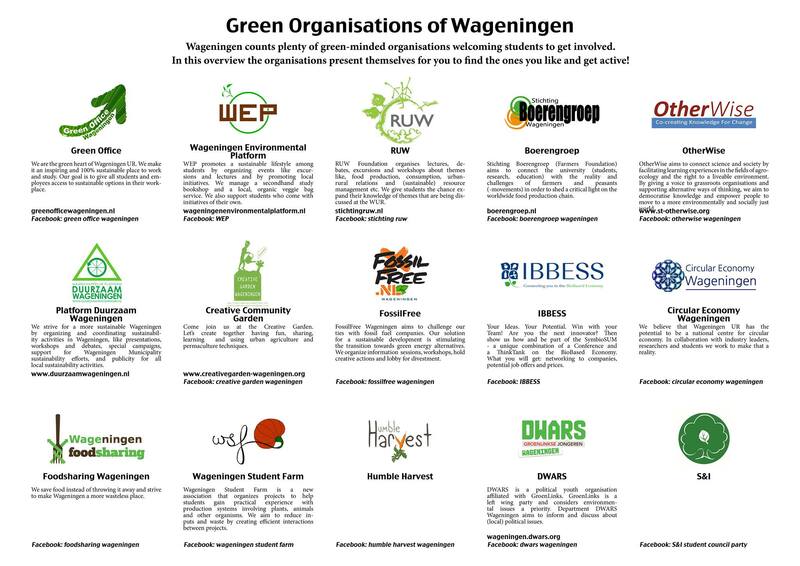 Together with the RSO chairgroup we stimulate students to organise events of their own interest, related to farming. Currently we are discussing with RSO to turn this into a capita selecta for which students can obtain credits. interactive theatre, ‘Inspringtheater’, which is an important part of St. Boerengroep. The Inspringtheater provides students a critical view on developments in agriculture in an interactive form of theatre. Approach agricultural topics from different angles: connecting social science with natural science; academic theories with practical challenges and innovations. improving the position of the farmer. Inform, experience, discuss, facilitate, publish, and activate in order to shed light on present-day issues in agriculture. This way, Boerengroep and Jump-in Theather wish to stimulate a critical attitude towards agriculture and food. Get involved as volunteer or intern! Are you a students at the WUR and would like to gain practical skills and knowledge on organising events related to food production? Would you like to set up a documentary evening, working group, organise an excursion, WWOOF weekend, or a Farm Experience Internship at a university in your own country? Let us know and we’ll help you with the organisation, provide you with a network of organisations, farmers, foundations and researchers. Feel free to send us a mail or pass by at the office. Once a week Boerengroep will have a lunch break at the Impulse, called ‘Farmers’ Tales’. Feel free to join us, share or gain ideas, knowledge, research questions related to food production. We provide a place for students, PhDs, researchers, farmers, activists and everyone else interested in sustainable food production to meet up and have a lunch together. Are you looking for an internship or thesis subject? You’re welcome as well – maybe we can find you some nice topics and contacts of researchers and/or farmers! Eenmaal per week van 12:30-13:15 houdt de Boerengroep een lunch break – ‘Farmers Tales’ – in Impulse. Tijdens Farmers Tales bieden we de ruimte om informeel bij te praten over belangrijke onderwerpen omtrent duurzame voedselproductie. We laten een film zien, hebben een spreker of delen samen onze kennis, ervaringen, ideeen en passies. Neem je lunch mee en kom langs voor een kop koffie of thee: studenten, onderzoekers, PhDers, boeren, activisten – iedereen met interesse in eerlijke, duurzame voedselproductie is welkom! Ben je opzoek naar een stage of thesis? Kom langs en wie weet kunnen we je in contact brengen met onderzoekers, organisaties of boeren!